It never fails, every year there is someone on my Christmas list that I struggle with. It's rarely the same person, but the problem never changes. What can I possibly buy them that they will use and enjoy? I certainly don't be the one to give the gift that gets regifted! Fortunately, this year Gevalia has taken the guessing out of gifting! Through the wonder of Facebook, Gevalia has created an application that looks through your friends' profiles and selects gift packs that match their interests! How cool is that?!?! The Gevalia Gift Matcher application can be used on anyone in your friends list! For example, let's say I couldn't decide what to get Miss Lucinda this year. I just click on the Gevalia Gift Matcher application, select Miss Lucinda, and voila! The Gevalia Gift Matcher application recommends the European Classics Coffee Basket. Easy Peasy! Then, lets's say I also needed a gift for Fave Cousin! I select the option to get a gift matched for another Facebook friend and TADA!!! Fave Cousin matches with the Gevalia Dark Roast Blend Set. But it gets better! If I choose to order these gifts through the Gevalia Gift Matcher application, I get 10% off of my purchase and orders over $50 get FREE shipping and handling! How cool is that!?!? Would you like a chance to win one of the fabulous Gevalia Gift Matcher gift packs? Well today is your lucky day! To one lucky Only Parent Chronicles reader, Gevalia has offered the Springform Bake Set (ARV $34.95). This gift pack contains a 5 piece Springform set (3 non-stick pans, stainless steel whisk, and silicone oven mitt), 2 boxes of Gevalia Royal Vinter, and 2 boxes of Gevalia Royal Vinter Spice. To enter you must be a resident of the U.S.A. The giveaway will run Friday, November 12 - Friday, November 26 at 11:59 pm CST. then come back and tell us what gift the gift matcher recommends for you! Please leave a separate comment for each entry! If your email is not visible in your profile, you must leave it with your comment. Authors were not compensated inanyway for this review/giveaway. What a neat application! I wish every store had that! Awesome! It matched me with the Chocolate Coffee Gift Basket! :) Thanks! the gift matcher recommends the Feel Good Spa for me. The gift matcher is so right. It recommended the Chocolate Coffee Basket. It recommended Kenya Coffee to me! 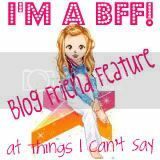 I follow you on twitter as babesrockinmami! The Chocolate Coffee Basket was recommended to me. It's the Chocolate Coffee Basket for me. Gevalia Recommends: Chocolate Coffee Basket. I like you on facebook. Thanks. I like Gevalia on facebook. Thanks. It recommended the Chocolate Gift Basket.Thanks for the chance. I follow Gevalia on fb. I was recommended the Tassimo Premium Brewer for myself. I follow Gevalia on twitter as ptowngirl. The European Classics Coffee Basket. I follow Gevalia on Twitter, too! European Classics Coffee Basket was what was recommended for me-works for me! It recommended the Gevalia Classics gift basket. Sounds about right, I LOVE Gevalia coffee, and tend to like classic flavors best! It recommended the Tassimo Premium Brewer which sure would be awesome in my office! It recommended the European Classics Coffee Basket. I follow you on twitter @Aerated. I follow Gevalia on twitter @Aerated. They suggested the Tassimo Premium Brewer for me. The Gevalia gift matcher recommended the Connoisseurs Coffee Basket for me. I "Like" Only Parent Chronicles on Facebook. I "Like" Gevalia on Facebook. I Follow Only Parent Chronicles with google friend connect. I said the Chocolate Coffee basket for me too. Yummy! It said Kenya Coffee for me. They recommend European Classics Coffee Basket, thanks! The gift matcher recommended for me the Seasonal Coffee Gift Basket. The Gift Matcher considers me to be mysterious and recommends the European Classics Coffee Basket. I follow Only Parent Chronicles via GFC. European Classics Coffee Basket is what got suggest, which sounds yummy & soothing! The gift matcher recommended Royal Vinter Spice Coffee for me. Chocolate Coffee Basket. Whoo! It knows me! This is fantastic! I would love to win and bake something with my granddaughter with this! spencer1953 at gmail dot com-carol. Follow Only Parent Chronicles on Twitter-dresdenrain. spencer1953 at gmail dot com. Thanks for the giveaway...a Chocolate Coffee Basket was suggested. They recommended the Chocolate Coffee Basket for me. Kenva Coffee was the recommendation. I follow you on Twitter (mail4rosey). I follow Gevalia on Twitter (mail4rosey). Help Me Learn About You! 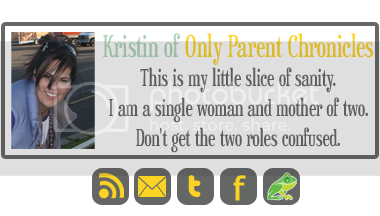 Only Parent Chronicles by Kristin Miller is licensed under a Creative Commons Attribution-Share Alike 3.0 United States License.